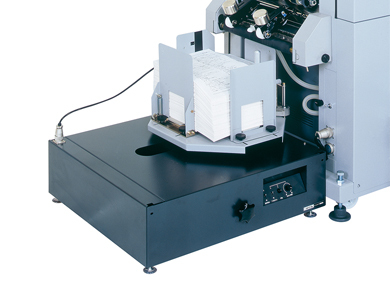 The Standard Horizon VAC-600 Deep-Pile Collator has 5 inches of bin capacity to allow for less frequent paper reloading and long-run production efficiency. Maximize floor space: Up to six VAC-600 towers can be combined to create 6, 12, 18, 24, 30 or 36-station systems. Rotary-pulse vacuum: The VAC-600 uses the same patented rotary-pulse vacuum feeding system as the proven VAC-1000, and delivers exceptional speed and productivity on nearly all paper stocks. Touchscreen operation: The deep-pile VAC-600 is equipped with a touchscreen control console for ease of operation, advanced programming, error detection, and system monitoring. System functions are presented using an icon-based graphical interface. Paper Weight Coated: 20 lbs. to 55 lbs. Normal: 14 lbs. to 55 lbs. 8-page fold signature: Up to 27 lbs. Production Speed(s) 6 bins: Max. 9,900 sets/hr. 12 bins: Max. 7,000 sets/hr. 18 bins: Max. 6,600 sets/hr. 24 bins: Max. 5,000 sets/hr. 30 bins: Max. 4,500 sets/hr. 36 bins: Max. 4,000 sets/hr. The Standard Horizon CCR Criss-Cross Stacker swings 90 degrees after each cycle, providing clearly separated sets to simplify handling of materials. It can also be added to the SPF-11 Stitcher/Folder or the SP-10 Multiple Head Stitcher for stacking corner- and side-stitched sets. 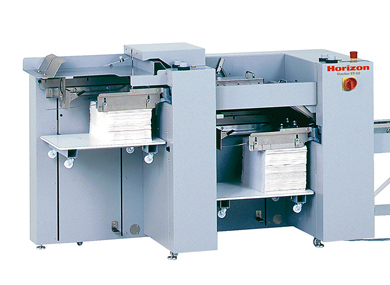 The Standard Horizon ST-20 and ST-20R Offset Receding Stackers offer precise, clean offset or straight stacking. 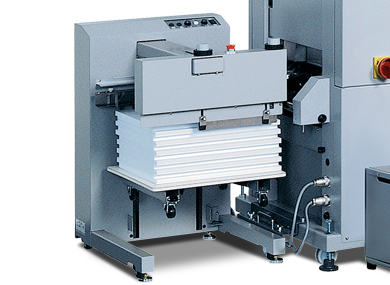 The ST-20R performs offset stacking from the rear of a VAC Series Collator. The Standard Horizon ST-60 Dual-Pile Offset Stacker automatically diverts collated sets to a second stacker when one stacker is full, allowing continuous production and easy unloading. 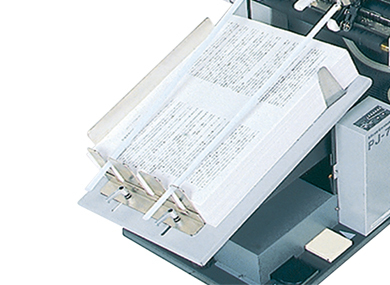 Driven by an independent motor, the PJ-77 paper jogger vibrates collated sheets into perfect alignment. Copyright © 2019 Standard Duplicating Machines Corporation. All Rights Reserved.